The community is invited to provide public comments on the Draft Integrated Feasibility Report and Environmental Impact Statement. The public comment period is extended to February 8, 2019. 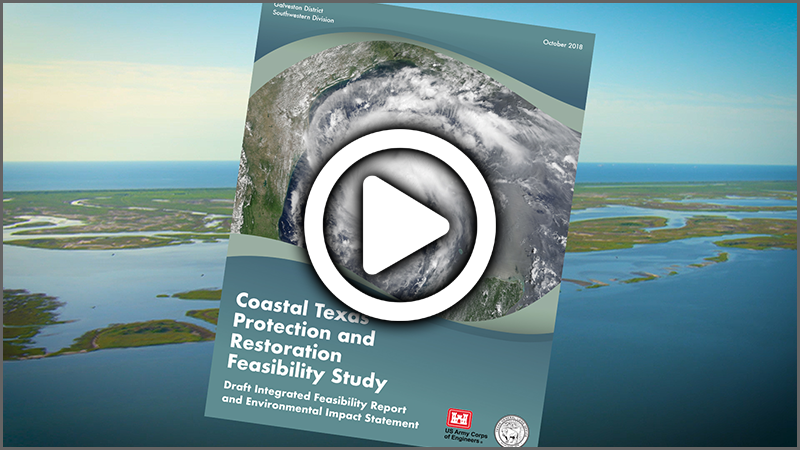 Develop and evaluate coastal storm risk management solutions to reduce the damage from tropical storms and hurricanes incurred by coastal communities and industries. Increase the net quality and quantity of coastal ecosystem resources by maintaining, protecting and restoring coastal Texas ecosystems, and fish and wildlife habitat. An environmental impact statement will be completed under the procedures of the National Environmental Policy Act (NEPA).